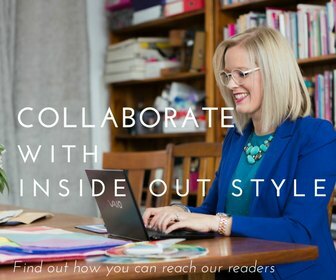 Today’s guest post is by Jill Chivers, my friend and colleague and regular video co-presenter here at Inside Out Style Blog. Jill is a speaker, writer, coach, professional facilitator and workshop leader and avid movie watcher. 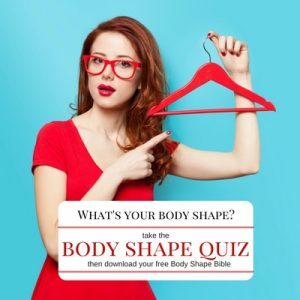 She is also an advocate for conscious consumption and created the world’s first online program for women who want to create a healthier relationship to shopping, themselves, their wardrobes and their wallets. 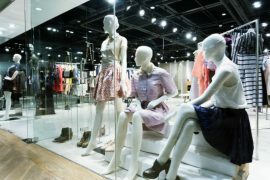 One of the things we have in common is we are both fascinated with style, identity and the significance of clothing. Picture it: June 2017. 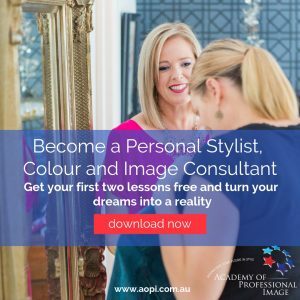 In a few weeks’ time, I’d be heading to Melbourne to work with Imogen for a few days, one of our activity’s being the filming of some more videos for Imogen’s fabulous Inside Out Style blog (yes, the one you’re reading right now). 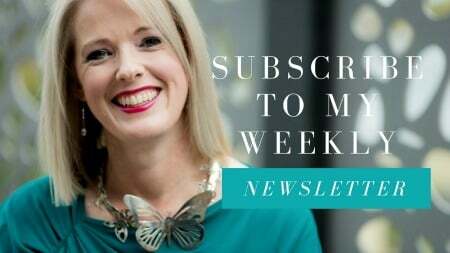 As is her usual practice, Imogen asked her readers for some suggestions: what topics would you like to see us do videos on? I’ll just pause here for a moment and tell you how much Imogen and I enjoy doing these videos, and what a journey it’s been. I can’t even recall how or precisely when we started, but it seemed like a good idea for us to sit together and chat about various style topics, record them and for Imogen to post them on her blog. From the beginning, we loved these chats and so did many of you if the responses received are a good indication. Every time we get together, we film more videos, and we love doing them. So, there I was, looking at the responses coming in on Imogen’s Facebook group on what topics we were being asked to talk about in our next series of videos. 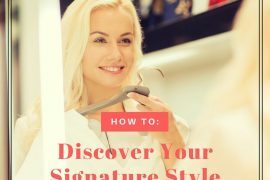 So many interesting topics to do with style – specific things and general things, practical aspects and more philosophical or psychological aspects – this was going to be an interesting set of videos! 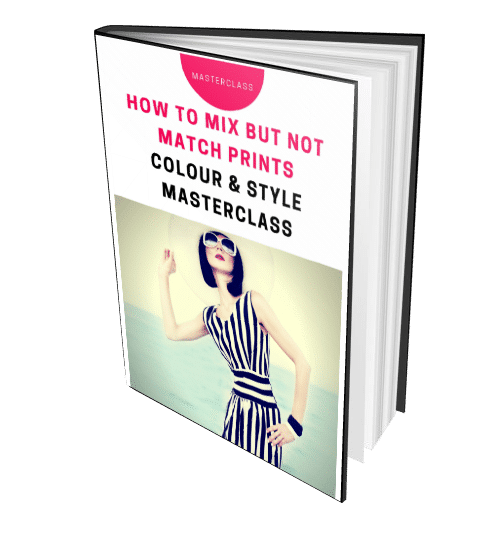 One of the topics we were being asked to talk about was layering – how to do it well, what works and what doesn’t when layering, how to do light layers, and where personality fits into the layering picture. 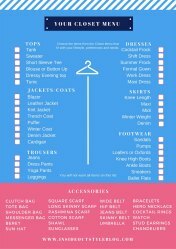 Well – this was something I knew about, living in a temperate tropical climate where layering was required almost every month of the year from sweltering summers to wonderful winters. Instead of packing all the many examples of layers I have in my closet and could show in a video to show the many and various ways layers can be approached, I sent Imogen a photo of me that day wearing a layered outfit and asked her if she’d like me to take a daily outfit photo, showcasing layers. We could pop these photos into the video post, and that would same me some checked luggage fees and allow me to pack light. Was this a good idea, and should I take more outfit photo’s, I asked Imogen. Yes, she said! Easy! I thought. I’ll just grab a photo of me every day in my usual attire and bounce them over to Imogen and that’ll be that. Well, the best laid plans – it didn’t quite work out that way. 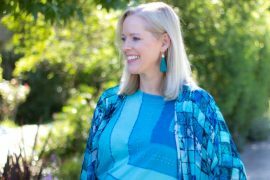 Now those of you who know me, whether it’s here as a guest on Imogen’s blog or over on my own site, know that I have had a long-standing love affair with style and clothing my entire life. I’ve been in love with clothes and getting dressed and this thing called style for as long as I can remember. Getting dressed is fun, clothing is a form of creative expression, and deciding who I want to be today and how my clothing choices can support that presents a raft of possibilities. Style and clothing are something I think (and feel) about a lot, and I put effort into my outfit choices every single day, even if it’s a cruisy doing-nothin’-much Sunday and I’m not even leaving the house. Doing these daily outfit photos for Imogen’s blog was such a creative exercise, and I hadn’t anticipated how much fun (or effort) it would be. 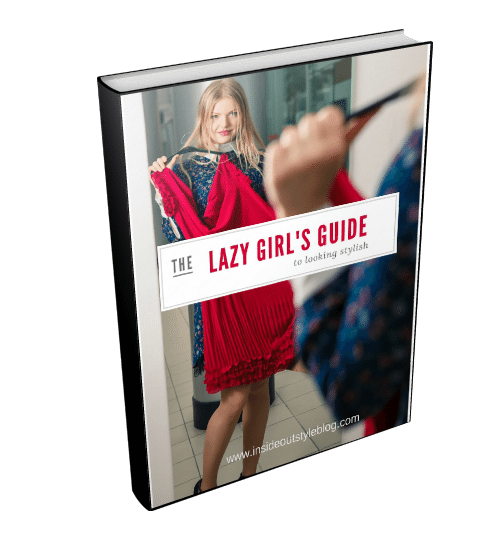 It took energy and attention that I wasn’t quite expecting it to, mostly because I thought that my usual daily approach to getting dressed would suffice – and it didn’t. I needed to do more for these daily outfit photos, at least for them to be of sufficient quality for Imogen’s high-quality blog. Each photo was an exercise in creativity. First, to ponder and put together all the elements of my ensemble from the foundation to the final touches – from underwear to my outfit’s basic pieces (supporting acts) through to accents and hero pieces, footwear to accessories, and the final touches of hair and make-up. Whilst not Vogue-quality, I wanted each photo to say something interesting and relevant about layering, and for each photo to be unique in some way. Second, I needed to think about the location and staging of each photo – the background, the light (or lighting), how I was standing or positioned in the photo, my posture, leg and hand position, facial expression and head position, what I was doing with my hands. 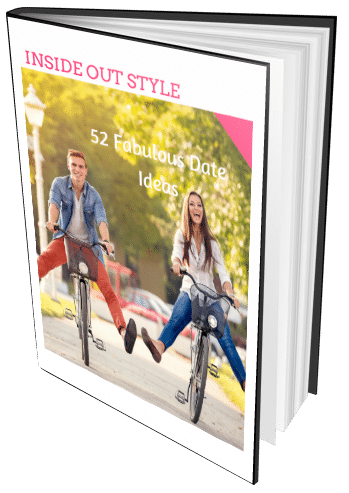 So many things to consider about a good photo for a style blog! 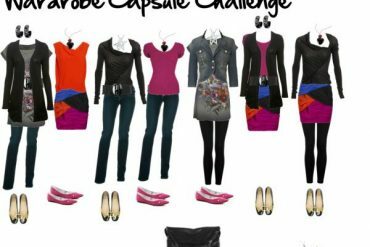 I loved doing these daily outfit photos. 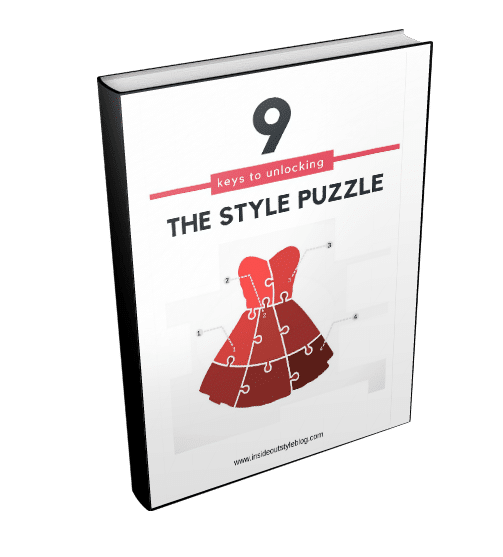 They raised my style consciousness to another level, and I felt I was starting at a fairly high point to begin with, if attention to and interest in style and daily outfit creation was the criteria. I’m not saying I’m the most stylish woman in the world, and I don’t hold myself up as a style icon. But I consider carefully what I’m wearing every day and enjoy the process of getting dressed, a process I give my attention and energy to. I never dress ‘just to cover my nakedness’ but always to enhance, shift or support my mood and to communicate and express myself, even if I’m not precisely sure what it is I’m saying. Doing these daily outfit photos made me consider more carefully every element of my outfit, especially the finishing touches. 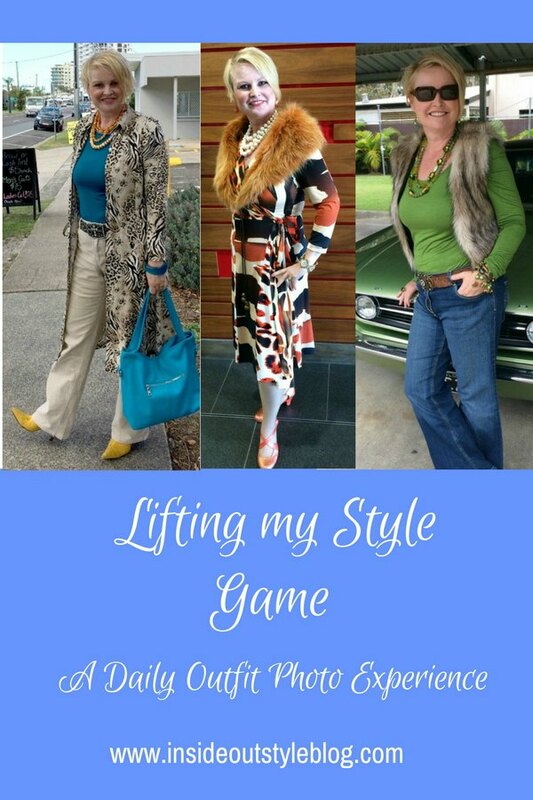 It made me lift my style game. It made me step up and be better, style wise. 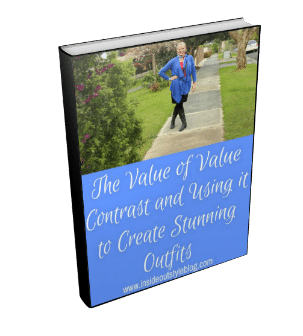 I wanted each outfit to feel and look finished, to go the full 100% and not skimp on those final details that can turn an outfit from okay to outstanding, from fine to fabulous. I also wanted each outfit to be an authentic expression of who I am, to look and feel like “me” and not be constricted, controlled or contrived. I wasn’t going for perfect, just perfect for me (at least on that day). I wasn’t going for flawless, just what makes me feel fabulous. I wasn’t going for stunning, just a creative expression of my style for that day. I could do this exercise again and I’m sure the photos would be better – I learned so much by making mistakes, by trying things out and working things out through trial and error. Have you ever done a daily outfit photo exercise? What were your high points, and learning points? What impact did doing a daily outfit photo have on your style, and did that impact last? What did you enjoy, and what was a challenge? What advice would you give to someone else who’s contemplating doing a daily outfit photo activity? You’re looking fab Jill. 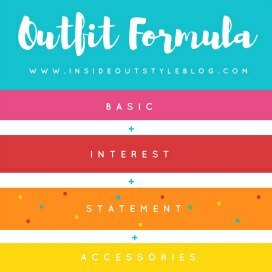 Love your story here and your outfits and outfit photos. May I ask who took the photos? I’m trying to improve the quality of my outfit photos! Wow Jill! These pics are fabulous, and really express who I imagine you to be. It’s funny how you feel you know someone by reading what they’ve written and watched and listened to them on video… I must up my style game! And learn to take better photos……. You look lovely, Jill, and it was great to see a full length picture of you and your outfit since we usually only see the top half of your outfit when videotaping with Imogen! Wonderfully creative. You really show how to be stylish and put together.Very inspirational for me. Thanks for featuring Jill today. I don’t have her coloring, but it’s nice to see such well put together outfits that are also color perfect for her. Loved this, Imogen! I am consciously striving to create, and wear, a seasonless wardrobe. It was so helpful to me seeing how Jill layers her colors during the winter months, what types of outerwear and how she included some lighter colored pieces. Thank you for all you do…you girls are the best! This is such a wonderful post, Jill. 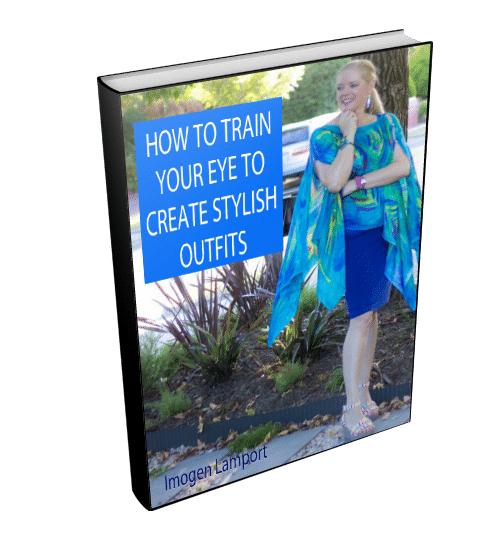 I have loved Imogen’s blog for many years and am in the 7 Steps to Style program (as well as minimally in the Evolve Your Style one). You did such a terrific job in presenting these outfits and explaining all the thought and creativity that is needed to put them together in a pleasing way. I also loved the photos of Queensland. I live in NYC and have never been to Australia, although it is on my bucket list. Can’t wait to see the upcoming videos!! Jill, your wonderful personality and time and attention to all the details show in these wonderful outfits. I love the backgrounds you chose and wish I had a partner to help photograph me. Thanks for such an inspiring post. 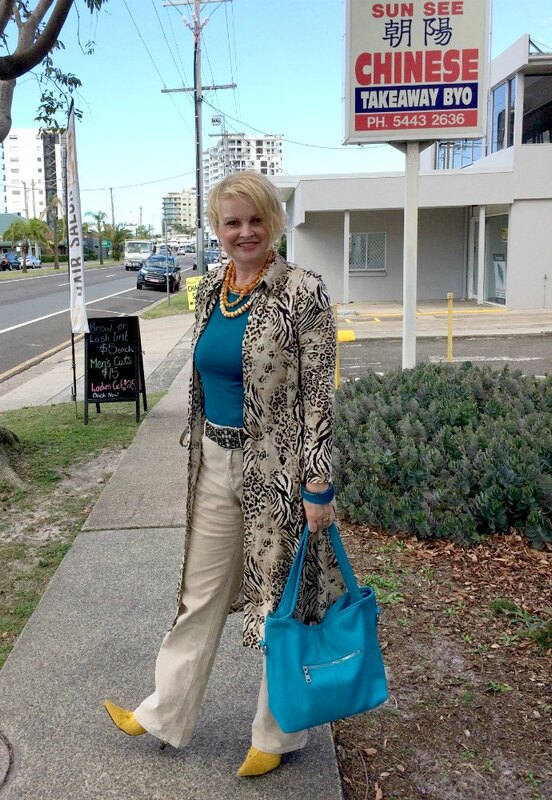 Thanks so much for sharing your fabulous outfits Jill, I love your style, creativity and sheer verve for life, its inspiring. Ruth C from 7STS. Thank you Jane, Tracy, Bernadette, Diversity, Pat, Rebecca, Lorna for your lovely comments. 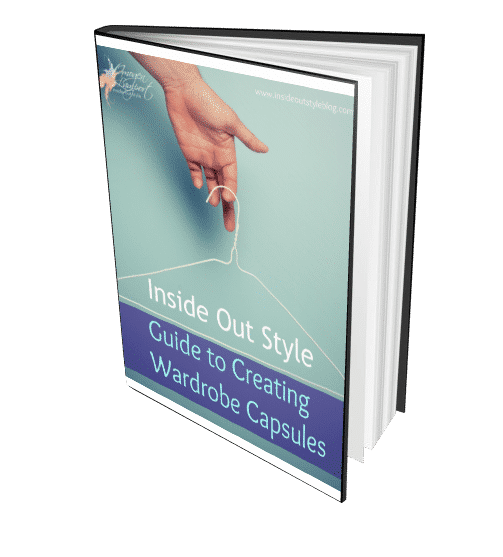 It’s lovely to be invited into Imogen’s stylish world here at Inside Out Style – she’s created such a supportive and open space where style is demystified and made available to every woman. I love the idea of style journeys, and believe we are all on our own unique style journey… what a pleasure to share part of mine here with your at this moment in time, and to be seen. Wow, there’s such power in witnessing another’s journey, isn’t there? (It’s normally me doing the witnessing, in my work as a coach and facilitator). I’m so delighted this piece has been of value to Imogen’s treasured readers! 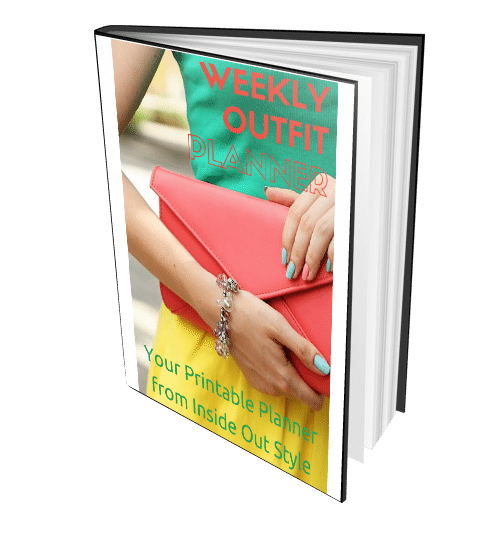 Wow Jill, you look fabulous and have lovely ideas on colour and style. 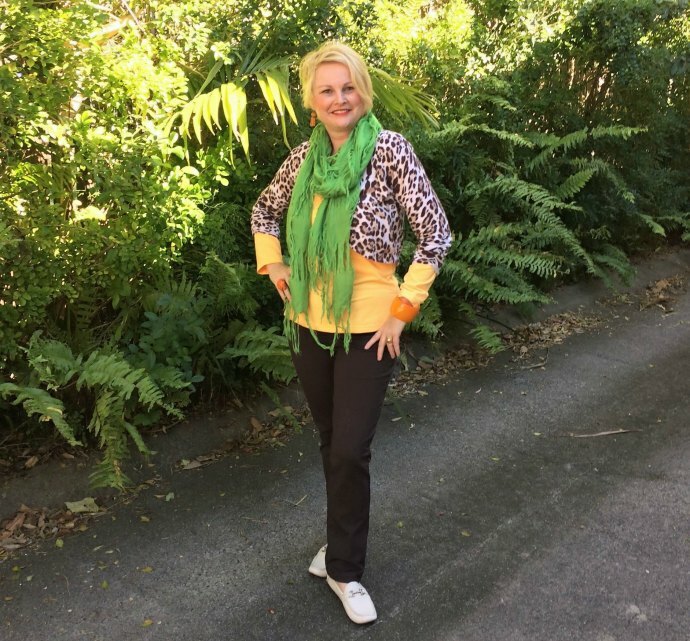 I love the pictures and your videos they inspire me to try different types of clothing -I am in the upper end of the 70’s in age and the grey hair is a challenge but being positive with trying a new softer colour palette is fun, though not always easy to find when shopping, colours are so strong and bright generally. When I see something softer in colour I go for it! Love your advice. You and Imogen are a great team. You look fab Jill, it is a bit of a thing taking a daily photo- I’m not ready for that yet, but really love yours! 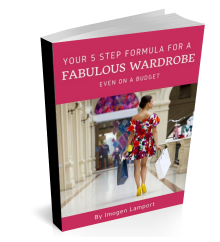 Thank you Margaret and Ellie for your positive comments… It’s wonderful to know that my appearances here on Imogen’s blog are adding something of value – that’s what it’s all about!! I had such fun with these photos, and it means a lot to know they are appreciated. Thank you DinaC, Anne, Lindi, and Ruthie – thank you for noticing the colours and details, textures and backgrounds! I have always known that Imogen puts a lot of work into her photos when she posts them here, but now I *really* understand what time and attention goes into creating a style blog worthy photo. I appreciate your appreciation! 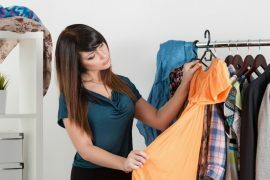 It’s so obvious that you love Clothes Jill from your really fun choices. 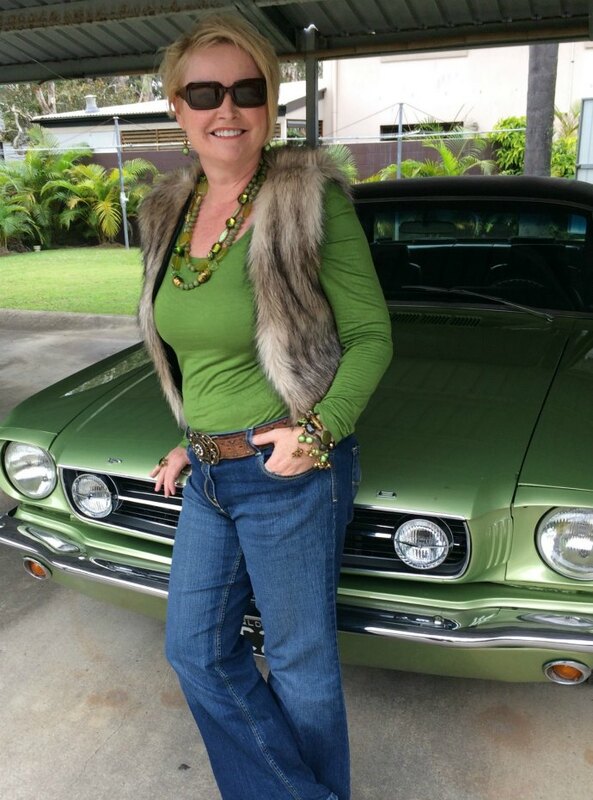 I adore the green top on you or was it the coordination with the car…vroom vroom. My favourite was snow leopard shirt dress. Really fantastic and very flattering. The way you talk about your relationship to clothes and getting dressed really resonates with me. How I dress has a direct relationship to how I wish to express my mood. So many of the blogs & you tube stylists are so dull and constantly recycle the classics, it’s invigorating to see your exuberance. 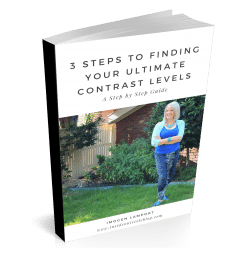 They are out there – just like Jill, it’s a process of finding them over time! Even though our styles are exact opposites….I’m a classic minimalist…and much older…I LOVE your enthusiasm and knowledge! 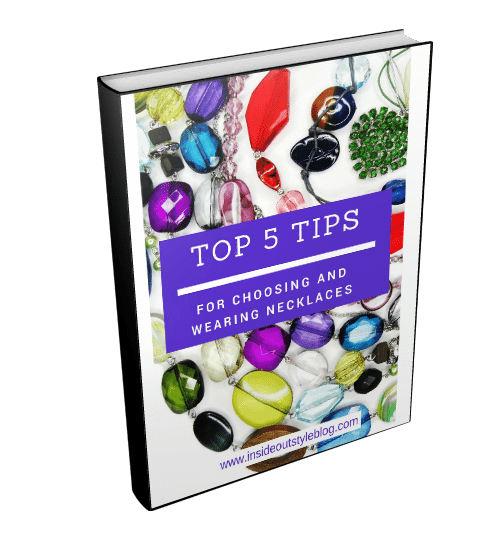 hi Oonah, Jen and Valentine – really appreciate your comments! 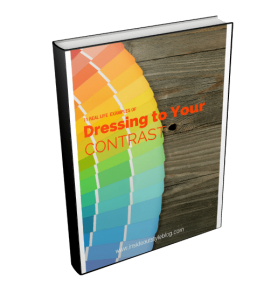 Yes, we can be opposites in our styles (and at different points in our style journey) but we can get so much pleasure, and learn so much, when we share our style experiences with each other and approach another’s style with an open heart and mind. Getting dressed for the day can be a form of creative expression (and such fun!) and how wonderful that we get to define that creative expression for ourselves (and of course it’s a living, dynamic thing and changes (or is capable of changing) over time, too). 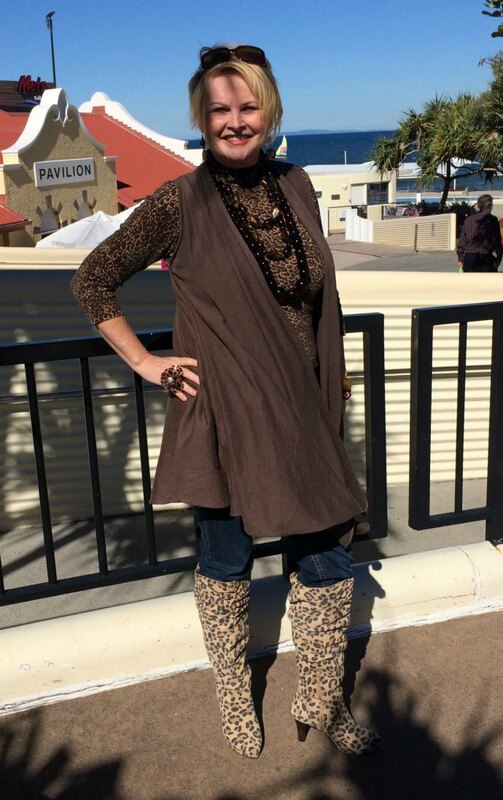 What would you say your style recipe/words/statement/ expression is, Jill? 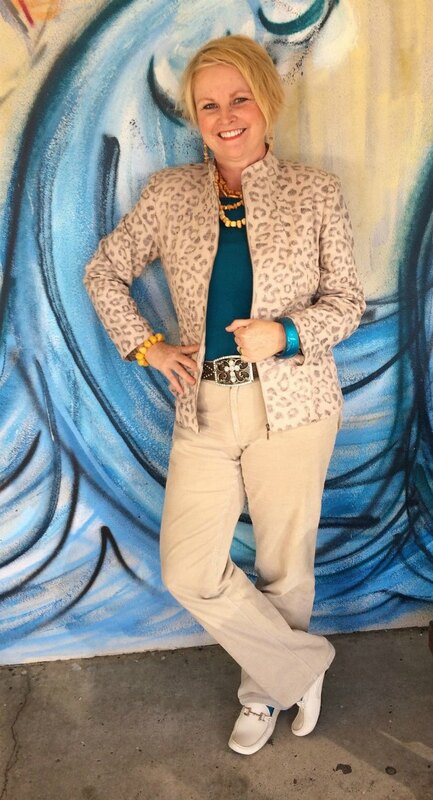 What a treat to see Jill’s outfits head to toe. I love her style. hi Melissa and Sue, really appreciate your comments! Being profiled on Imogen’s blog has been a real treat for me, I feel seen in a way that I usually don’t tap into… it’s a real gift. So nice to have my style noticed and appreciated, every comment here has gone straight into my heart. Jill is a creative personality, it shows in her fun combinations. Love what she puts together with animal prints. Inspiring.